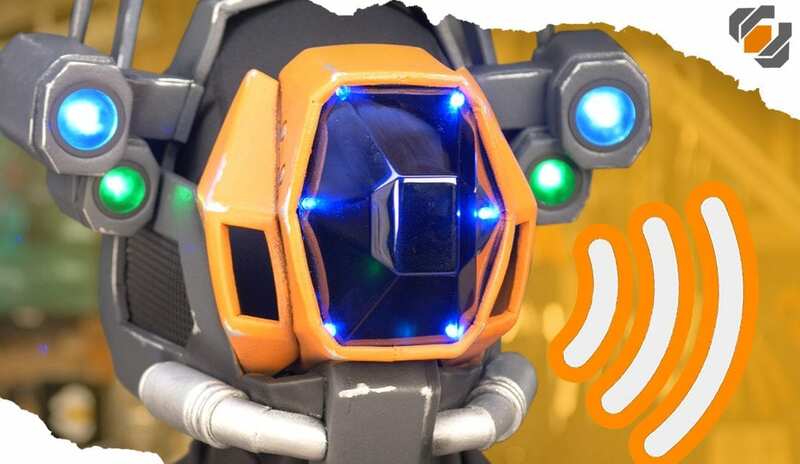 Britt shows you how she turned the Sweeper Bot’s robot head design into a wearable helmet. The first step was vacuum forming a visor with PET-G plastic, then tinting the visor blue. 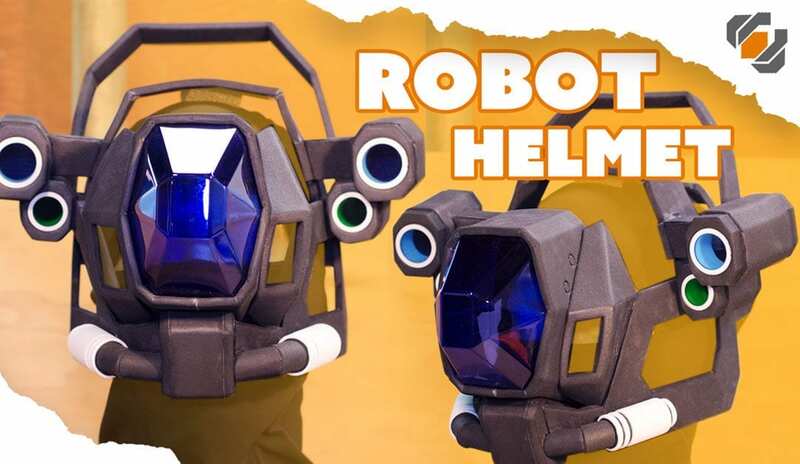 The helmet was crafted from EVA foam, leaving room for all the cool electronics. Brittany found a really cheap solution for a light up, voice modulated for Sweepy the robot! Bill shows you how he installed it in the helmet. 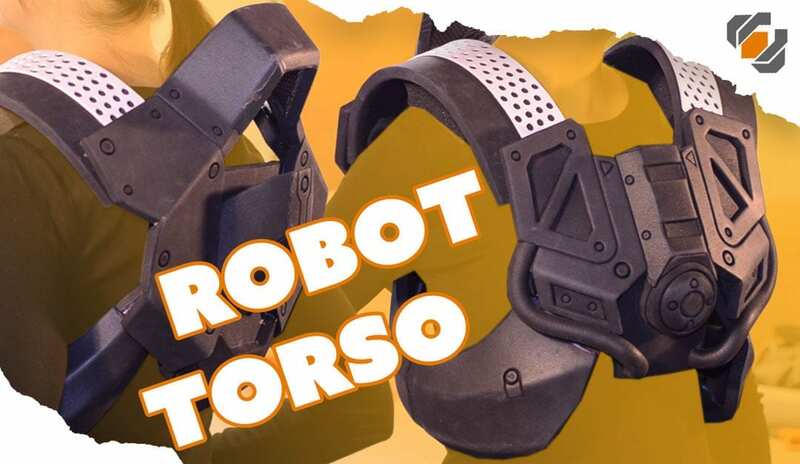 Britt crafts an EVA foam robot torso for her Destiny Sweeper Bot build! How to make the chest, side panels, and back are covered in this project. 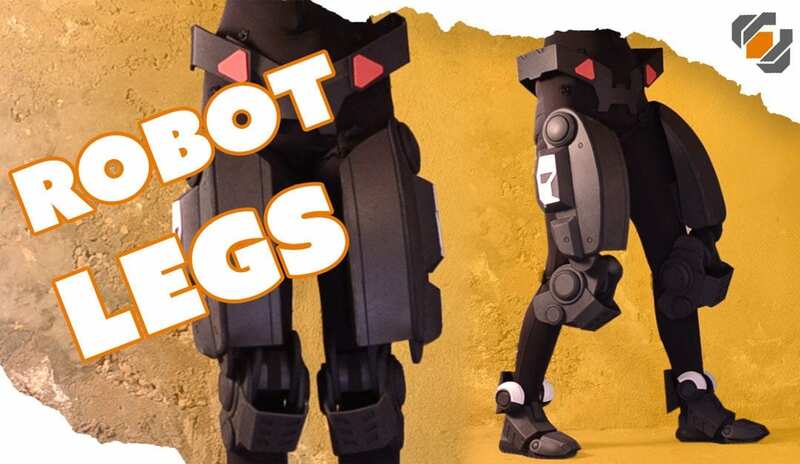 Britt uses EVA foam to make robot legs! The Sweeper Bot, from the video game Destiny, is coming together as Britt shows how to template, cut, and glue foam into the shapes needed for leg attachments. 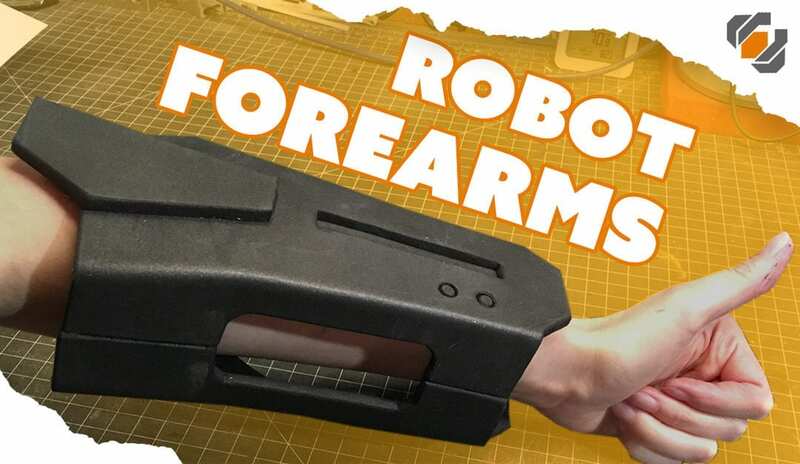 More of the robot arms are crafted during this live stream. Britt continues the progress on her Sweeper Bot costume, from Destiny, and makes the hand plate and bicep arm pieces out of EVA foam. 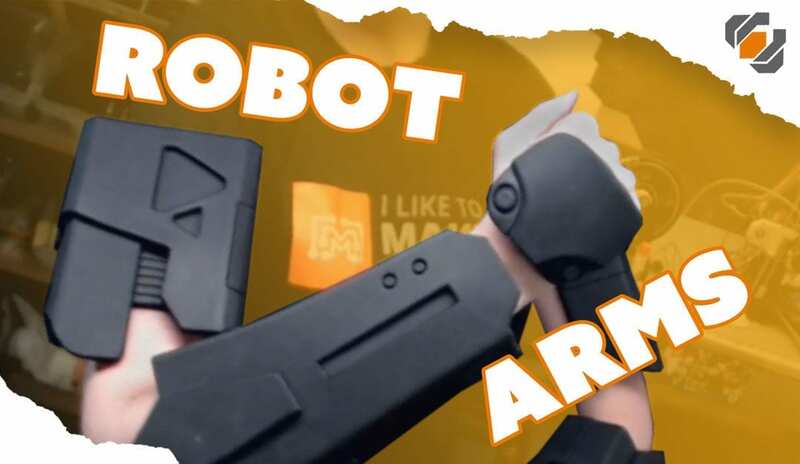 On this live stream, Britt shows how she made the template for these rectangular robot forearms. Then, cuts and shapes the bracer from 6mm craft foam and test fits the design.